The Associated Press has confirmed that soprano Hildegard Behrens has died while traveling in Japan. She was 72. Jonathan Friend, artistic administrator of the MET, said Tuesday in an e-mail that Behrens felt unwell while traveling to a festival near Tokyo. She went to a Tokyo hospital, where she died of an apparent aneurism. Friend's e-mail was shared with The Associated Press by Jack Mastroianni, director of IMG Artists. Her funeral was planned in Vienna. Organizers for Behrens' visit in Japan said she was in this country to teach lessons in the hot springs resort town of Kusatsu, north of Tokyo, from Aug. 21-29. The lessons were being sponsored by the Kanshinetsu Music Association. A Web site for the Kusatsu Summer Music Festival said Behrens' performances had been canceled, but gave no further details. It said she was to perform on Aug. 20. Behrens was born in the north German town of Varel-Oldenburg. Her parents were both doctors and she and her five siblings studied piano and violin as children. Behrens later earned a law degree from the University of Freiburg, where she also was a member of the student choir. 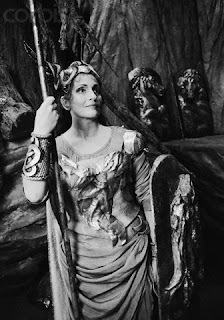 From a law degree and student choir, to being known as one of the finest Wagnerian performers of her generation; she made her professional opera debut in 1971 and went on to perform at the Salzburg Festival and leading opera houses around the world. Behrens made her MET debut in 1976 as Giorgetta in Il Tabarro. She continued to appear there some 170 times until her last performance in 1999 as Marie in Wozzeck. She was named singer of the year in 1997 by the German opera magazine Die Opernwelt and singer of the year for 1996 by the German opera magazine Orpheus. Behrens also won three Grammy awards for best opera recording between 1989 and 1992.